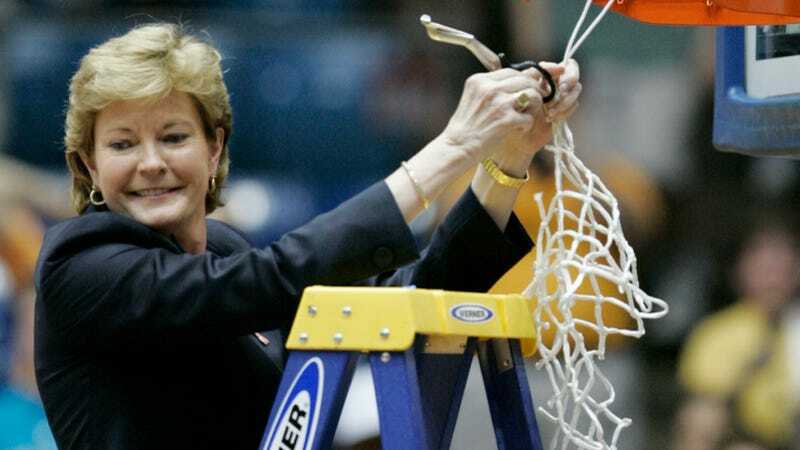 Jenkins, the longtime Washington Post writer, is one of Summitt's best friends. She discloses that in her piece, which you should read now. Now she will need a different kind of counterintuitive strength. Surrender and acceptance have never come naturally to her, nor has admitting vulnerability. She has trouble even uttering the word Alzheimer's. But she's learning. "We sat down and had a good talk, and realized that the only reason we even made it this far, was that we had each other," Tyler says. "It started with her father passing away, and then the divorce, and the arthritis, and then the Alzheimer's, and each of those things, I don't know how anyone could go through them alone. So we figured out that as much as we wanted to be Superman and Wonder Woman, and take care of things alone, we needed each other." With acceptance has come relief—and, thanks to treatment, apparent improvement. Every morning she reads, or studies math problems on flash cards. Each night she spends hours working on her iPad, doing puzzles to improve her cognitive abilities.